Make waves with these cool, elegant banners. They feature waving blue lines, which start with a dark blue and gradually turn lighter as they move towards the edges. 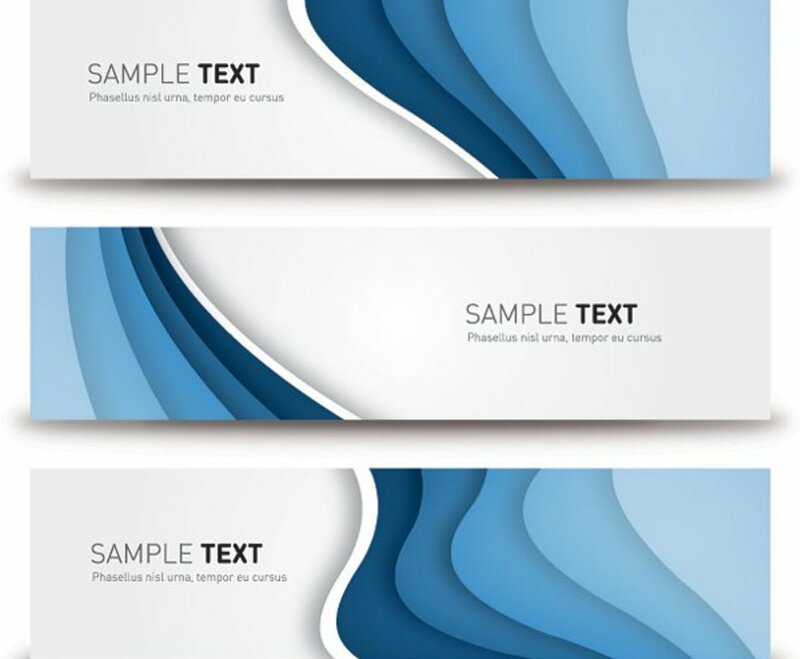 A white line with a shaded border provides some separation between the blue waves and a sample text area. The shape and size of the waves vary from one banner to the next, as does the placement of the sample text. You can easily adapt these banners for any purpose by quickly editing the text; use bold print to highlight one word and draw attention to the most important aspects of your message.